SEVERAL buildings in central Dublin which were used by rebel leaders during the 1916 uprising are to be saved from the wreckers ball, it has been announced. The houses and their surroundings on Moore Street - a key battlefield during the outbreak which eventually led to independence - are to be fully repaired and conserved for future generations, the Government said. 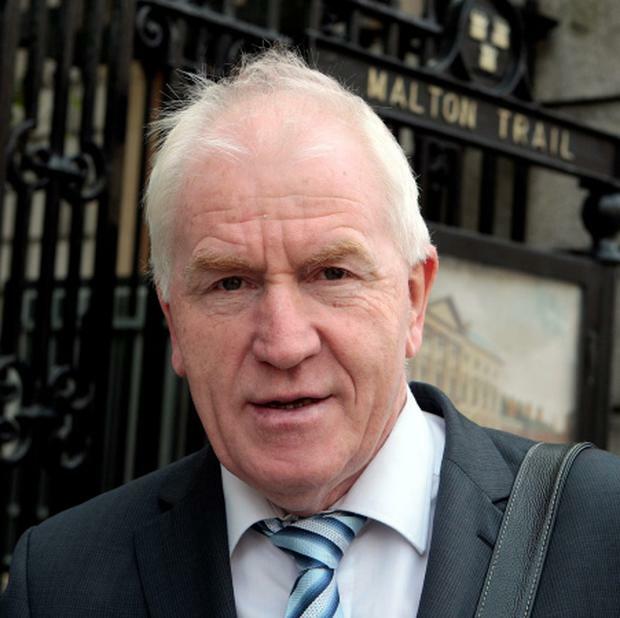 Heritage Minister Jimmy Deenihan also got Cabinet approval to allow for a commemorative centre at the site, which has controversially been allowed to fall into serious disrepair. Although numbers 14-17 Moore Street were declared a national monument five years ago, planning permission was granted in 2010 for a massive shopping centre between the site and O'Connell Street. One of the country's highest profile developers Joe O'Reilly's Chartered Land, who built the Dundrum Shopping Centre and who is now one of Nama's most indebted clients, was behind the plans. Campaigners said the proposals were endangering what was part of the most important battle site in modern Irish history. Mr Deenihan said a consent order signed today will rule out any demolition on the site, or any works underneath it - ruling out plans for an underground car park linked to the redevelopment proposals. The final headquarters of the leaders of the 1916 Rising before they surrendered was at 16 Moore Street. "The Moore Street National Monument is of huge significance and importance," said Mr Deenihan. "It is highly appropriate that the monument would be preserved and that an appropriate commemorative centre would be put in place to mark the momentous events which took place here." Mr Deenihan said conservation works will return the buildings to what they would have looked like at the time of the Rising, and ensure the monument is fully protected for future generations. The works are to be carried out by 2016, the 100th anniversary of the rebellion. Mr Deenihan said he hoped the developer would revise plans for the site.